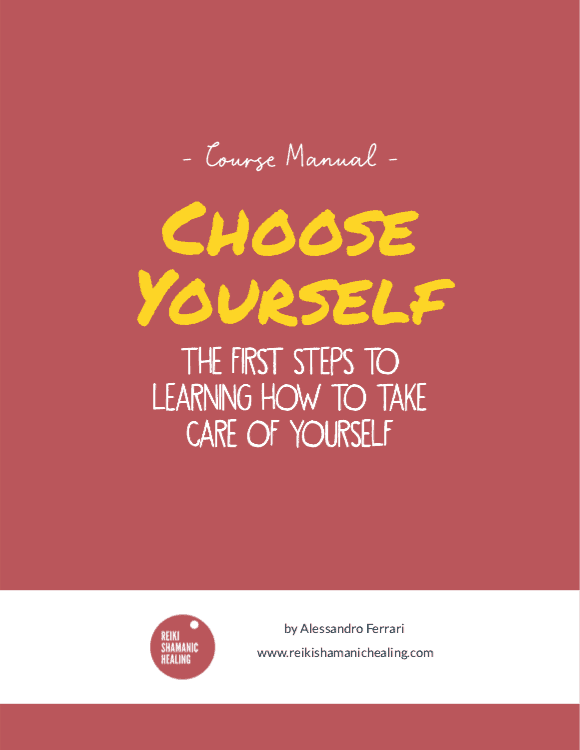 CHOOSE YOURSELF: The FREE online course to learn how to take care of yourself and finally climb the ladder of your priorities, without feeling guilty. I work with the powerful healing energy of Reiki combined with the ancient shamanic practices of South America. 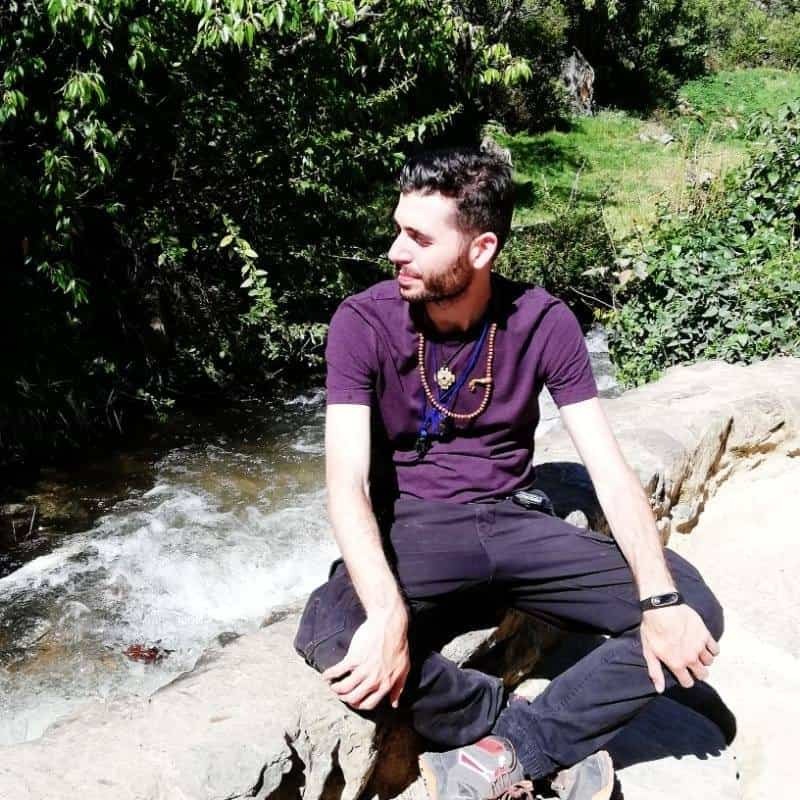 I can help you through the connection with the sacred spirits of Rapeh and Sananga, and with the powerful knowledge of Amazonian Forest Oracles. Reiki is the universal energy of light and love that is channeled by the practitioner to free and balance the different energy centers (chakras) of the different bodies of the patient. I'm a 2nd level Shamanic Reiki (Usui Shiki Ryoho) practitioner. Through the use of the sacred master plants of South America you can reach self-awareness and re-discover parts of yourself that are not awake. So you can solve old problems, remove blockages and heal old wounds that are still open, at different energy levels. I mainly work with Rapeh and Sananga. The oracles of the Amazonian forest are a powerful medium of knowledge of the past, present and future. They shed light on many questions, on conscious and unconscious aspects. Through powerful images that for millennia have been used in the forest to interpret the reality that surrounds us. I enthusiastically participated in a workshop with him where I could see the love, passion and enthusiasm he puts into what he does. The energy he transmits is as strong as his preparation. Thank you for the wonderful experience! I'm Alessandro Ferrari, a Shamanic Reiki Practitioner. Every day I work on myself to develop the Consciousness of the present moment, seeking and sharing Light and Love in the world. I recently moved to Berlin in January 2019. I started my journey a few years ago through meditation, philosophy and metaphysics in Italy. Then in 2017 I took a spiritual journey to Peru and everything changed. I discovered the power of Shamanism and Sacred Plants and rediscovered an ancient and dormant sense: feeling. So I started a path of reactivation and rediscovery of the light inside me, following the heart instead of the mind. And now "feeling" is the sense that I try to follow the most. I'll help you do the same. Why? To help heal others around you, and most importantly to heal yourself. Click Here To Discover: What is Reiki for? Click Here To Discover: How is a Reiki Session? Taking care of yourself today is very expensive. I know, you already have to pay for your yoga classes, your favorite organic food, your nights out on the weekend. And then your inner work always remains in the last place. Almost forgotten. ​Your First Complete Shamanic Reiki Healing Session with 10% OFF. Sounds great, doesn't it? So you can spend time for yourself to feel better with you and others. To solve the past and close the still open wounds. I just moved to Berlin in January 2019. You can come here or I can come to your home (I just need a bed or a mat, a pillow and some space to operate). N.B. Sessions at your home will have a supplement starting from 10€ depending on the distance. I speak English, Spanish and Italian. Rapeh is a Sacred Medicine, traditionally coming from the Amazon Forest and nowadays became popular and utilised in many other areas of the Earth. Rapeh is a herbal snuff made by tobacco powder mixed with ash from native trees and is known in the Amazon Rainforest for its effectiveness to cleanse the mind and body, to realign energy channels, to support increased intuition, to protect from bad spirits and diseases. The Tobacco, is the Father Medicine, flower of the hearth, one of the first elementals of the Earth, used since ages in traditional rituals and considered one of the highest master plants, which brings peace and understanding in our lives. Rapeh is given by blowing it through the nostrils and each of these blows contain an intention and a prayer. It expands and balances our energetic field, tranquilizes thoughts, decongests the nasal channels, and it is an excellent natural anxiolytic, also allowing us to get in touch with our “Inner Shaman” activating and improving vision and clarity of mind. This happens because tobacco is a medicine of clarity and purification in general, in the physical plane, as well as in the energetic plane, and thus it would help us to release and dissolve mental blockages (negative thoughts, fatigue, reluctance, fears, etc.). Rapeh increases perception, allowing us to observe in a broader way the cause and root of our blockages within the healing processes, helping us to relief the liver and removing fears, phobias, rages, anger, etc. Rapeh can be applied in a delicate way not occurring much physical effect, or in a strong dose, if requested, leading to more effects (even purging, sweating and shaking) of body healing and purification. The rapeh ceremony is a ceremony that allows you to get in touch with the sacred plant of tobacco, a master plant that for millennia has been used in the South American jungle to heal many diseases and problems. Rapeh allows you to work on mental, emotional and energy blockages. It allows you to dig deep into yourself to bring to light the blockages and dissolve them, free them. So the energy returns to flow properly. The whole process is supported by the powerful healing energy of Shamanic Reiki that helps the rapeh in his healing process. The whole ceremony takes place in a protected space, with the help of guardian spirits of Mother Earth. During the ceremony we will also connect with the tarot cards of the Amazonian forest to receive our message on which each of us can work at this point in our existence. Please do not eat on the day of the ceremony. Do not use alcohol or drugs in the previous 48h. First of all, not knowing your diet, I advise you to reduce the consumption of carbonated drinks, foods that are too sweet, too salty, too fatty, alcohol and meat and, in general, industrial food. I recommend a vegetarian or vegan diet in preparation for the ceremony, for at least 3 days before. To experience it in the best possible way and In order to strengthen and deepen the process during and after the ceremony it is necessary to have a body that is as cleansed and detoxified as possible. Bring stones, crystals, necklaces, rings, power objects, music instruments, photos that you want to charge with energy, love and Light. They are very welcome. —>WHERE: Near Charlottenburg. I'm currently looking for the place. —>PRICE EXCHANGE: sliding scale 80 - 90 - 120 euros. Each one gives with heart depending on personal possibilities. —>LANGUAGE: The ceremony will be held in Spanish with the possibility of translation into Italian and partially into English. SPACE IS LIMITED. REGISTRATION IS ESSENTIAL via email. Alessandro is a second level Shamanic Reiki Practitioner. He recently moved to Berlin, in January 2019. La ceremonia del rapeh es una ceremonia que permite entrar en contacto con la planta sagrada del tabaco, una planta maestra que durante milenios ha sido utilizada en la selva sudamericana para curar muchas enfermedades y problemas. El Rapeh permite trabajar sobre los bloqueos mentales, emocionales y energéticos. Te permite profundizar en ti mismo para sacar a la luz los bloqueos y disolverlos, liberarlos. Así que la energía vuelve a fluir correctamente. Todo el proceso es apoyado por la poderosa energía sanadora del Reiki Chamánico que ayuda al rapeh en su proceso de sanación. Toda la ceremonia se realiza en un espacio protegido, con la ayuda de los espíritus guardianes de la Madre Tierra. Durante la ceremonia también nos conectaremos con las cartas del tarot de la selva amazónica para recibir nuestro mensaje sobre el cual cada uno de nosotros puede trabajar en este punto de su existencia. La ceremonia durará unas 6 horas. Por favor, no comas el día de la ceremonia. No consumir alcohol ni drogas en las 48h anteriores. En primer lugar, sin conocer tu dieta, te aconsejo que reduzcas el consumo de bebidas con gas, alimentos demasiado dulces, demasiado salados, demasiado grasos, alcohol y carne y, en general, alimentos industriales. Recomiendo una dieta vegetariana o vegana en preparación para la ceremonia, por lo menos 3 días antes. Para experimentarlo de la mejor manera posible y para fortalecer y profundizar el proceso durante y después de la ceremonia es necesario tener un cuerpo lo más limpio y desintoxicado posible. Trae contigo piedras, cristales, collares, anillos, objetos de poder, instrumentos musicales, fotos que quieres cargar de energía, amor y luz. Son muy bienvenidos. ->CUÁNDO: Sábado a partir de las 21h. La ceremonia durará alrededor de 6 horas. ->DONDE: Cerca de Charlottenburg. Actualmente estoy buscando el lugar. ->INTERCAMBIO DE PRECIOS: escala variable - 80 - 90 -120 euros. Cada uno da con corazón dependiendo de sus posibilidades personales. ->IDIOMA: La ceremonia se realizará en español con posibilidad de traducción al italiano y parcialmente al inglés. EL NUMERO DE PLAZAS ES LIMITADO. REGISTRARSE ES ESENCIAL por correo electrónico. Si tienes alguna curiosidad o pregunta, por favor ponte en contacto con Alessandro Ferrari por correo electrónico. El Rapeh es una medicina sagrada, tradicionalmente proveniente de la selva amazónica y hoy en día se ha vuelto popular y utilizado en muchas otras áreas de la Tierra. El rapeh es una mezcla de tabaco en polvo con ceniza de árboles nativos y es conocido en la selva amazónica por su eficacia para limpiar la mente y el cuerpo, para realinear los canales de energía, para apoyar la intuición, para proteger contra los malos espíritus y las enfermedades. El Tabaco, es la Medicina del Padre, la Flor del Corazón, uno de los primeros elementales de la Tierra, utilizado desde tiempos inmemoriales en los rituales tradicionales y considerado una de las plantas maestras más elevadas, que aporta paz y entendimiento en nuestras vidas. El Rapé se da soplándolo por las fosas nasales y cada uno de estos soplos contiene una intención y una oración. Expande y equilibra nuestro campo energético, tranquiliza los pensamientos, descongestiona los canales nasales, y es un excelente ansiolítico natural, permitiéndonos también entrar en contacto con nuestro "Chamán Interior" activando y mejorando la visión y la claridad de la mente. Esto ocurre porque el tabaco es una medicina de claridad y purificación en general, tanto en el plano físico como en el energético, y por lo tanto nos ayudará a liberar y disolver los bloqueos mentales (pensamientos negativos, fatiga, renuencia, miedos, etc.). El Rapeh aumenta la percepción, permitiéndonos observar de una manera más amplia la causa y la raíz de nuestros bloqueos dentro de los procesos de sanación, ayudándonos a aliviar el hígado y a eliminar miedos, fobias, rabias, ira, etc. El Rapeh se puede aplicar de forma delicada sin que se produzca mucho efecto físico, o en una dosis fuerte, si se solicita, dando lugar a más efectos (incluso purga, sudoración y temblor) de la sanación y la purificación del cuerpo. Alessandro es un Practicante de Reiki Chamánico de segundo nivel. Recientemente se mudó a Berlín, en enero de 2019. Contact me to receive more information about the sessions. Please note: Allow 15 - 30 mins on top of the sessions for consultation and Shamanic guidance. This is included in the price. Do you want to know more about Shamanic Reiki? Find out what it is and why it can help you heal, read the new article on the blog. Rapeh and Sananga Ceremony and Amazonian Oracle Consultation. Rapeh Ceremony, Sananga Ceremony or Amazonian Oracle Reading. Distance practice allows you to receive Reiki wherever you are regardless of distance. Reiki sessions and ceremonies combined to help you feel better, to regain your physical and emotional well-being and to overcome energy and evolutionary blocks. I will build a program tailored to you to give you concrete results. Everyday I share Spiritual Quotes and Images, get Inspired and Change the way you see your Reality. You don't have Instagram? Follow me in the other social networks below, I share the images there too! Do you want to help me and thank me for one of my sessions or ceremonies? Leave me a review on Google, for you it's easy and fast, for me it's very important. Thank you very much! Find out how to leave me a free review, click on the button corresponding to the device you are viewing this page with. Get 10% OFF on the first session! Enter your details and I’ll send you your discount. Book a shamanic session with Alessandro! Fill in the fields below to book a session. Write your message here and specify which session you want to book. Enter your details below to get more info.